Beards are really cool, but they can be hard to maintain. Beards can get itchy, they can lead to dry skin, they sometimes suffer from beardruff, and taming them for styling can be difficult too. Beards can also get dried out and suffer from split ends. A good beard butter can help with all of these things. So, let’s get right to it and look at some of the candidates for the best beard butter out there right now. If you need a nice, simple, fairly inexpensive, and very beneficial beard butter, The Wilderness All Natural Beard Butter is a really good option to keep in mind. The Wilderness All Natural Beard Butter is all natural and does not contain any harsh chemicals which might damage your skin or beard. This product smells like pine, cedar, and eucalyptus, with a citrusy finish; the smell is quite strong. Also, the hold which this provides is light to medium. It comes complete with lots of nutrients to prevent your beard and skin from drying out, it prevents split ends, and it makes styling your beard a lot easier too. The Wilderness All Natural Beard Butter is designed to make your beard look and feel healthier, while also making it much easier to style. 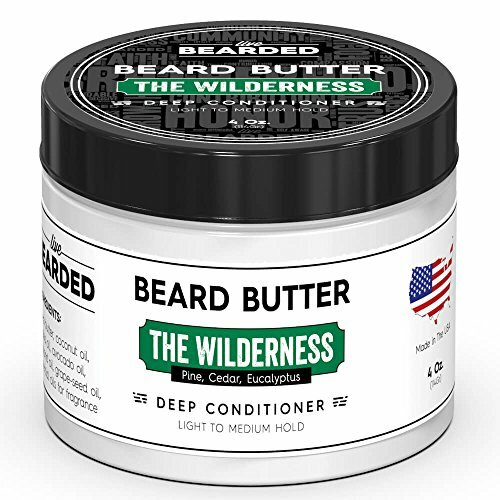 To be quite honest, we like more or less everything about The Wilderness All Natural Beard Butter. It provides a good hold for most beards, it makes them easy to style, and it helps moisturize the hairs and the underlying skin too. There is not much bad to say about The Wilderness All Natural Beard Butter. The price is not exactly the best, but also not outrageous. Some people may not like the smell, but that is up to personal preferences. Many people actually don’t like the smell of it. Maestro's Classic Beard Butter is not all that much different from our number one pick, with the exception that it costs a little more and smells a little different. Maestro's Classic Beard Butter smells like cypress, rosewood and frankincense. Many people really seem to like the smell of it. The various ingredients included here are designed to help make your beard much healthier through hydrating it, as well as the skin underneath. It is a good option if you have lots of breakage or split ends. It does not have too much hold, but it certainly helps make your beard easier to straighten, groom, and it helps make it much healthier too. It is also made to help soothe itchy skin, which beards often cause. The fact that this beard butter is water soluble is an advantage because it doesn’t get all oily. At the same time, it is also fairly lightweight, so much so that you won’t even be able to tell that you are wearing it at all. We like Maestro's Classic Beard Butter because it is lightweight and it doesn’t make you feel oily, a big bonus no doubt. At the same time, we love its smell; we can’t get enough of it. Also, the fact that this beard butter is so great for itchy skin, dehydrated and weak hair is a bonus. It has quite a few health and comfort benefits for beards, plus it makes them more manageable. Something we don’t like here is how Maestro's Classic Beard Butter is quite expensive. Also, while being water soluble is good because it does not feel oily, excessive sweating or moisture will cause it to come off. As it really does not have much hold, some people might want to look for other products. This is the cheapest option here today, but still quite a good one none the less. It certainly comes with quite a few benefits. Urban Prince Beard Butter contains a lot of beeswax, coconut oil, vitamin E, argan oil, jojoba oil, olive oil, and shea butter. The combination of these ingredients comes with a great many benefits. First off, these ingredients all help to provide your beard with vital nutrients for strength, and to help deal with split ends. In other words, it makes for a good leave-in conditioner. At the same time, they do a great job at moisturizing your beard and locking that moisture in. Moreover, styling is made really easy with this stuff, as it helps to soften your beard, it makes straightening easier, and it makes your beard more manageable. This beard butter will help fight beardruff and relieve itchiness, plus it actually smells pretty decent. 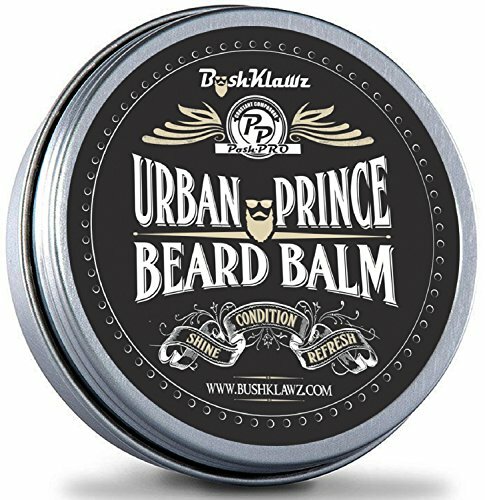 Urban Prince Beard Butter has a lot of benefits for your beard and skin including nutrition, hydration, strengthening, relief of irritation and dandruff, and it makes your beard easy to manage – all benefits that we really like. We like the smell, but some do not, so that will be a matter of personal preference. We also like how it does not cost very much. For one, Urban Prince Beard Butter does not really provide any hold at all. While we do not mind the smell of it too much, we do need to say that some consider the scent to be very overpowering. 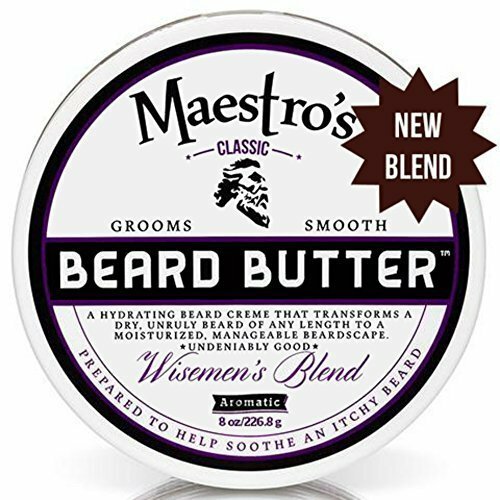 Due to the overall benefits, the smell, and the decent price of the Wilderness All Natural Beard Butter, we think it is the best beard butter to go with, but Maestro's Classic Beard Buttermakes for a good second choice.